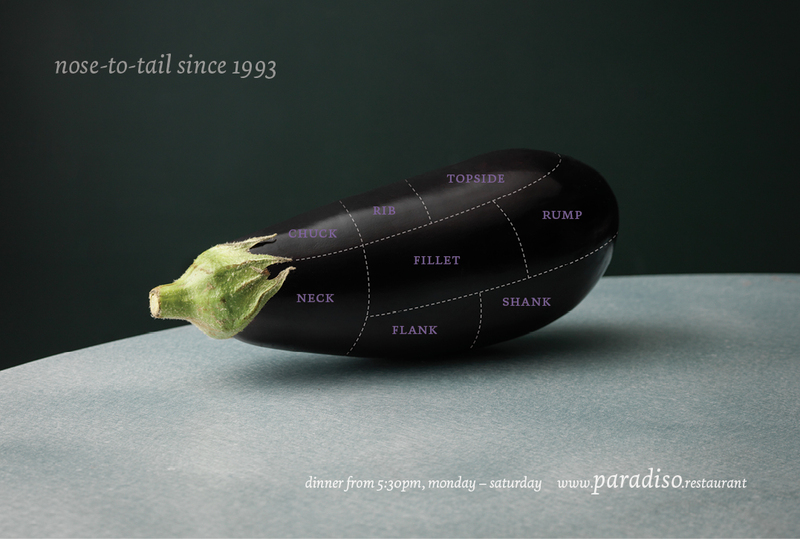 Advertisment for paradiso, a celebrated vegetarian restaurant. Photograph by Cristian Barnett. Designed at Bite.